This week saw the unveiling of the Africa Halal Week Film and Media programme during Cape Town International Film Market and Festival. The programme, tailored toward attracting more Muslim producers and filmmakers and fostering relationships between local producers and the Middle East and North Africa (MENA) regions, is focused around joint discussions as to how Cape Town and the Western Cape can better position itself as a Muslim-friendly film and media destination. The programme is a collaboration between Cape Town and the Western Cape's Film and Media Promotion Unit, based at Wesgro and Cape Town International Film Market and Festival. As part of the programme, the team hosted three international guests: Anwaar Abulkhair, a Saudi Arabian producer who recently produced a TV series in Cape Town; Anis Lassoued, an award-winning director and producer from Tunisia; and Intishal Al Timimi, Festival Director of Egypt’s El Gouna International Film Festival. The international guests were joined in panel discussions by local producers with years of experience working in, and co-producing with, the MENA regions. Monica Rorvik, Wesgro’s head of film and media promotion and certified African film commissioner, commented: "The Halal sector has been identified as a key economic enabler across sectors and the discussions had today have assisted us to promote our Muslim-friendly film sector as well as upskill new producers. Panel guests included local producers and international industry experts who provided an understanding of the broadcast and theatrical needs of Middle East and North Africa (MENA) countries as well as the regional funding opportunities." "Africa Halal Week will contribute towards an environment that will maximize the growth potential of the industry as well as unlock opportunities and ultimately contribute to the local economy," said the City’s Mayoral Committee Member for Safety and Security; and Social Services, Alderman JP Smith. Minister of Economic Opportunities, Alan Winde said: "When we initially started looking at the potential of Halal, our focus had been solely on food, but we were advised that Cape Town and the province had the potential to really develop an entire Halal lifestyle offering. With our established film industry staffed by skilled film professionals and the Western Cape’s 300-year history of Islam, we are uniquely positioned to become a Muslim-friendly film and media destination. Exploring the opportunities in this space will help us to develop our film industry even further, create more jobs and contribute to economic development in the region." 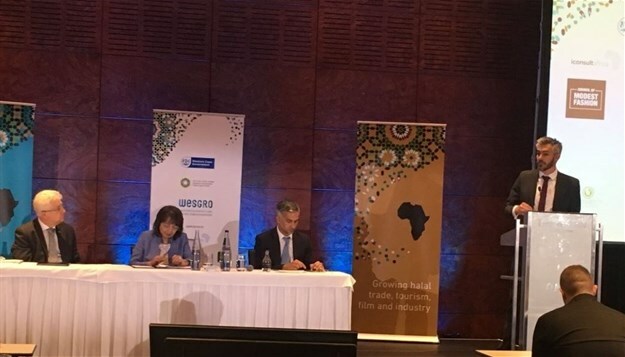 Wesgro CEO, Tim Harris, concluded: "Africa Halal Week is intended to foster business linkages and conversation around opportunities within the halal industry in Cape Town and the Western Cape, South Africa and the rest of Africa. Africa Halal Week has given us the opportunity to showcase to industry experts in the film sector what our city and province has to offer as a film destination, as well as learn as to how we can become even more Muslim friendly."